Narrow neuroforamen are defined as smaller openings than normal, in between the vertebral bones. 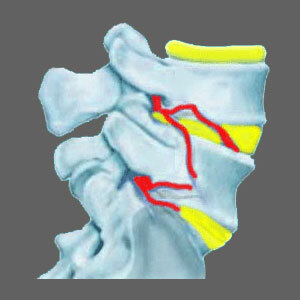 It is these openings which facilitate exit of the spinal nerve roots from the central canal. Narrow neural foramen can be congenital in origin, but are more often developed through normal degenerative processes and the possibility of traumatic back injury. Foraminal narrowing describes the completely expected process of degeneration and/or injury which will decrease the size and patency of the neuroforaminal openings. These spaces line both sides of the spinal column, left and right, offering passage for the spinal nerve roots at each vertebral level of the spine. Once the nerve roots exit the spinal column, they go on to branch off into a hugely varied network of nerves which serve the motor, sensory and autonomic needs of virtually the entire anatomy. The diagnostic term most often used to identify a decreased foraminal space in a particular vertebral level is neuroforaminal stenosis. This dissertation details foraminal loss of patency and provides valuable information for anyone who might have been diagnosed with any type of spinal nerve compression syndrome. Many foramen begin narrower than usual due to congenital disposition. Herniated discs can block the foramen. Paramedial bulges can block the interior opening, foraminal bulges actually penetrate into the foramen and far lateral bulges can block the exterior opening. Arthritic bone spurs and/or debris can build up within the central canal, around the facet joints or in the foramen themselves. All these factors can decrease the size of the foraminal spaces. Spondylolisthesis can cause the vertebral bones to lose alignment, decreasing the size of the foramen bilaterally. Scoliosis can cause the decrease of the foramen in the interior of the curvature unilaterally. Various kyphosis and lordosis concerns may decrease the size of the foraminal openings, usually bilaterally. The foramen themselves are not important and it would not matter if they were to be closed off except for one crucial consideration. 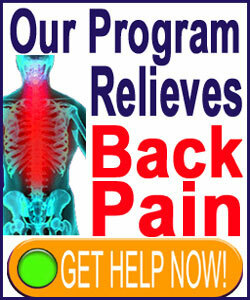 Each foraminal opening must allow the safe and unimpeded exit of a nerve root. If the space closes in too tightly around the nerve, a compressive neuropathy condition may occur, potentially causing serious symptoms. It should be discussed that some pinched nerves are terribly misdiagnosed. In most of these circumstances, the stenosis will exist in the foraminal space to a mild or moderate degree, but it is clear that the nerve is not affected functionally. Remember, in order for symptoms to exist, the nerve usually must be structurally compressed. Symptoms rarely correlate with clinical expectations in these cases. Neurological correlation will help prevent this common mistaken diagnostic pronouncement. Preliminary symptoms will usually include localized pain at the compression site, as well as strange neurological effects, like pain and tingling, in the area served by the compressed nerve. Continued compression should relieve pain and cause a state of ongoing objective numbness and weakness in the area served by the affected nerve. This symptomology will be obvious to a neurologist and should correlate exactly in the anatomical region affected.